A Run-for-fun group is different from the track team. Any kid can join. It’s about getting fit and improving your personal best. Having fun running and working out with other kids. A fact: Most schools are strapped for money. To have a run-for-the-love-of-it program at a school, you may need a community partner. 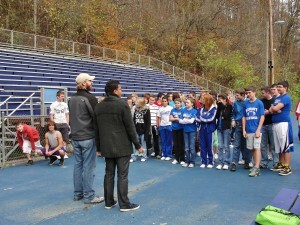 In Parkersburg, the River City Runners and Walkers sponsors afterschool running clubs at all the high schools. This isn’t the track team. This is “running for the love of it,” students trying to improve their own time. The clubs do compete and pass a trophy they pass back and forth. River City Runners and Walkers also organizes dozens of childrens running events a year and raises enough money to buy more than 100 pairs of running shoes a year for needy children. In Jefferson County, the running community organizes a huge race called Freedom’s Run. Freedom’s Run donates $15,000 a year to the schools to build school running trails. “The best thing we can do for these kids is get them active,” said Dr. Mark Cucuzzella, on the WVU Medical School staff. 3. 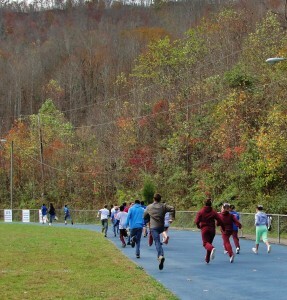 In 2012, the Mingo County Diabetes Coalition partnered with the schools to create a middle school walk-and-run-for-the-fun-of-it program. “Mingo has a high diabetes rate, with a lot of heart problems. 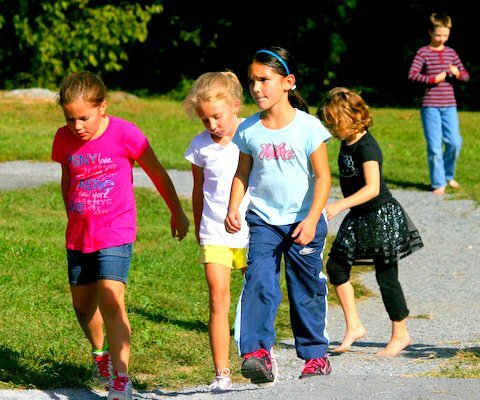 We thought, if we teach kids to enjoy being active, that will help lower our diabetes rate in the long run,” said Vicki Lynn Hatfield, Coalition founder. The main expense of such an in-school program is staff. The Diabetes Coalition helped staff the program. “We mainly had to jigger the schedule to make time for it,” said Lenore K-8 principal, Sabrina Runyon. 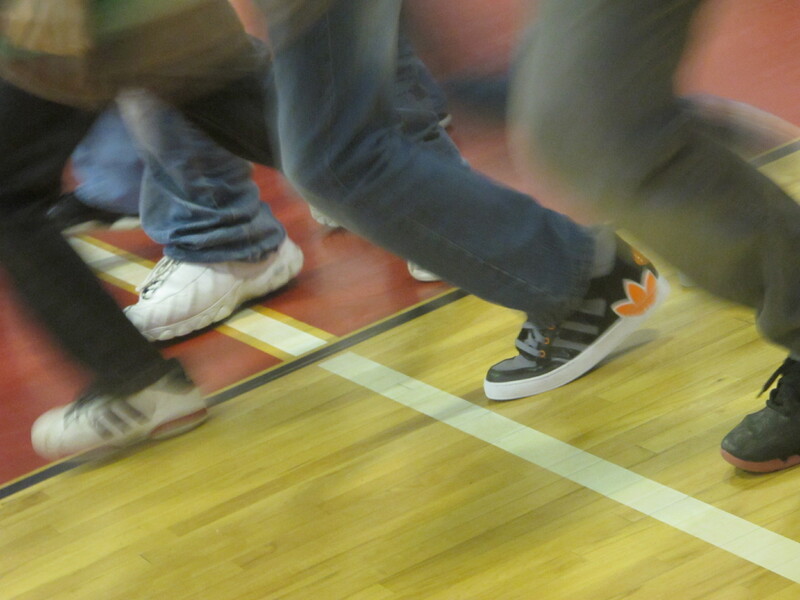 All middle-school students got pedometers from the Diabetes Coalition for a “10,000-steps-a-day” competition. They formed in-school walking/ running groups then all the middle schools held a springtime 5K. Teachers ran too. Want to start a run/walk-for-fun program at your schools? Get allies. What organization could join forces with your schools to do this? Parks and Recreation? Diabetes Coalition? Are there retired people or other volunteers who would like to be coaches? Get people from the schools and community groups together to talk about ways this can happen. Coordinate with the community. Some schools already include running-for-fun in their program, how could it be expanded with community help? Or coordinated with the community running program? Before school: Parkersburg’s Edison Middle School running club runs before school, sometimes in the dark. After lunch: Walk the whole school around the track after lunch. Some kids run, while others walk with friends, talk, etc. Everyone must keep moving. 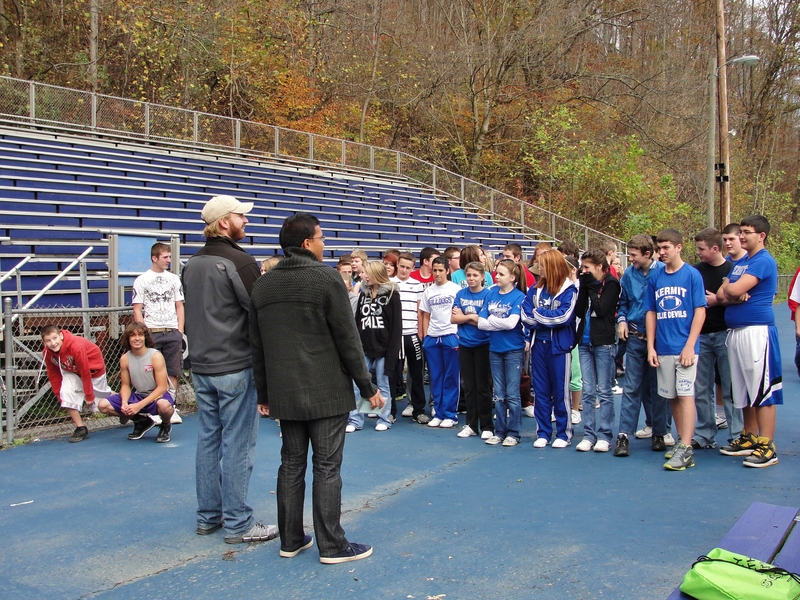 Afterschool: The Parkersburg running group, River City Walkers and Runners, runs afterschool running groups at all the high schools. Raise money for school running programs through the community running/walking program. Follow Jefferson County’s lead. You won’t have a race that attracts thousands of people right away, but you can raise money for physical activity through physical activity. If you don’t have a community running group, think about establishing one. See the Start a running club page. The Run for It! race in Davis offers communities an opportunity to make money by fielding a team of runners and getting sponsors. In 2013, the race, operated by the Tucker Community Foundation, distributed $71,000 to community groups. Add afterschool runs. 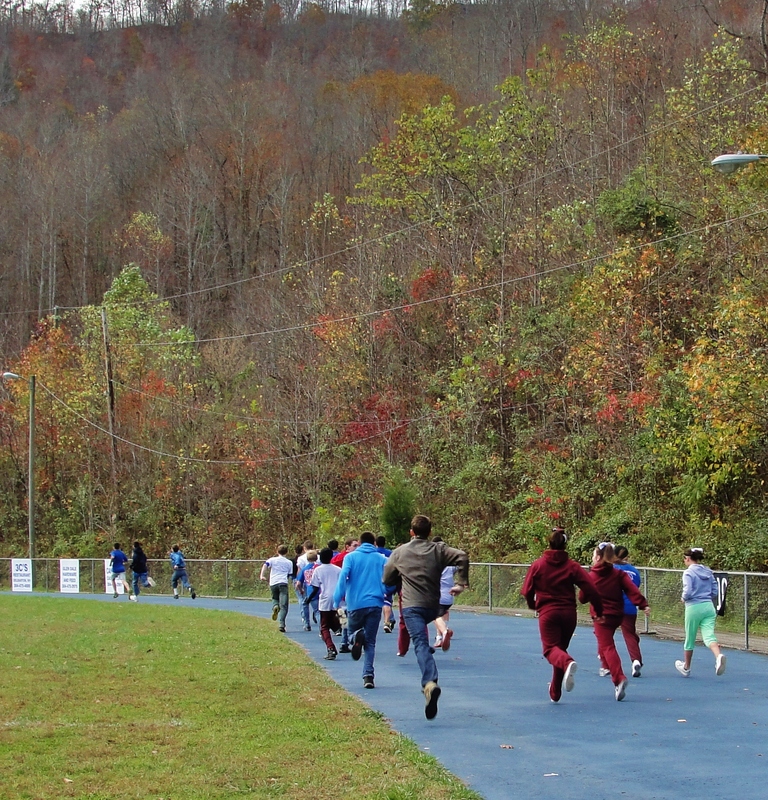 West Virginia’s afterschool programs are now required to keep kids active at least half of their time in afterschool. Running and walking are ideal ways to do that. 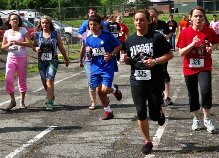 Parkersburg’s River City Walkers and Runners operates afterschool running clubs at all the high schools. The national Girls on the Run program, which includes a character-building component, is an easy way to get girls running afterschool. Community volunteers are the coaches, and the groups usually meet at a school. See the Girls on the Run page for more information. Want to coordinate school and community running/walking? See related running/walking pages on the Try This site. Write it in “reply” below, with your contact info, in case we have questions.